The way scientists and researchers communicate their work is evolving. Predictions indicate that scientific publishing will change more in the next 10 years than it has in the past 200. There has been an explosion in the number of open access journals, data sharing platforms and open source projects in recent years and there has never been more ways to share and publish your work. In Open Access Week 2013 we hosted an afternoon of talks exploring the open access/data landscape. Dr. Martin Paul Eve is a lecturer in English Literature at the University of Lincoln, with a focus on contemporary American fiction. 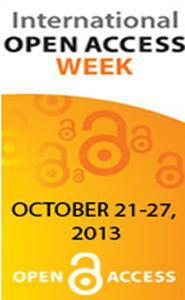 He is also a prominent OA advocate within the humanities, launching the Open Library of Humanities. Martin appeared before the House of Commons BIS Select Committee Inquiry into Open Access, is a steering committee member of the Jisc OAPEN-UK project, and sits on expert advisory panels for both Jisc and HEFCE for policy guidance on open access monographs. Jason is the co-founder & CEO/Head of Product at PeerJ, an Open Access publisher of scholarly articles which aims to drive the costs of publishing down, while improving the overall publishing experience, and providing authors with a publication venue suitable for the 21st Century. Before founding PeerJ, Jason worked at Mendeley as Chief Scientist/VP of R&D and pioneered the data mining group that scaled Mendeley’s growth to crowdsource more than 150 million academic documents in just over two years. This firmly established Mendeley as a big data company. Also under his direction, services such as personal recommendations, search, real-time statistics, and the Mendeley API were developed. Jason strongly believes that research needs to be openly available if we are going to solve this century’s biggest challenges. He is a Geneticist and Indie rock day-dreamer. Dominic Tate is the Scholarly Communications Manager at the University of Edinburgh. Dominic has worked in open access for eight years, starting his career at BioMed Central, a commercial, open access publisher. Dominic has also worked at the Centre for Research Communications at the University of Nottingham where he led the JISC-funded Repositories Support Project, and has worked as Repository & Digital Assets Manager and Head of Technical Services at Royal Holloway, University of London. Heather is a postdoc research associate with Duke University and the University of British Columbia, funded through the DataONE project at the Dryad Digital Repository at NESCent. Heather is a leading researcher in the area of research data availability and data reuse. She wrote one of the first papers to measure the citation benefit of publicly available research data, studied patterns in public deposition of datasets , and is currently investigating patterns of data reuse and the impact of journal data sharing policies. Heather is an frequent speaker on research data archiving, writes a well-respected research blog, and is active on twitter (@researchremix). Heather has a bachelor’s and master’s degree from MIT in electrical engineering, 10 years of experience as a software engineer in small companies, and a Ph.D. in Biomedical Informatics from the University of Pittsburgh. Jason is a PhD student and Royster Fellow, studying information science at the University of North Carolina-Chapel Hill. Since coining the term “altmetrics,” he’s remained active in the field, organizing the annual altmetrics workshops, givinginvited talks, and publishing peer-reviewed altmetrics research. Jason has contributed to and created several open-source software projects, including Zotero and Feedvis, and has experience and training in art, design, and information visualisation. Sometimes he writes on a blog and tweets.